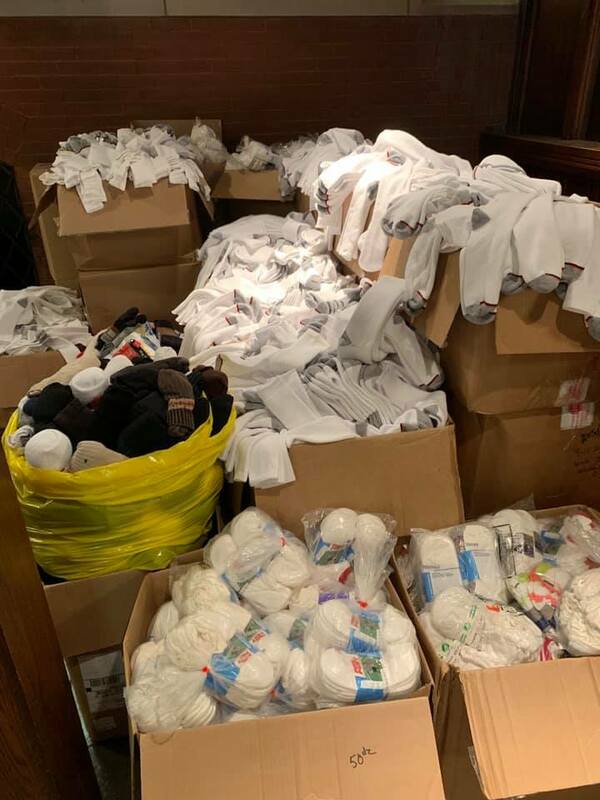 During Advent, two Indianapolis-area parishes — All Saints and Holy Family, Fishers — worked together to collect 20,700 pairs of socks for people experiencing homelessness. 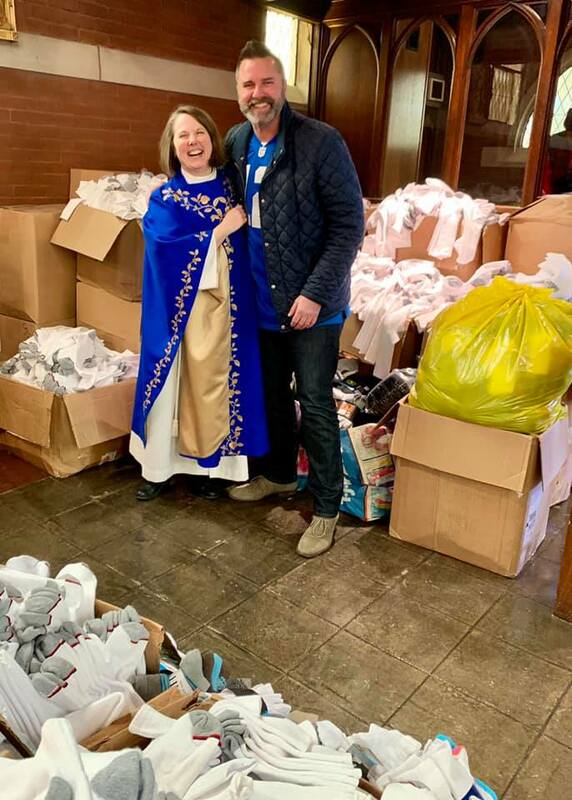 The socks were gathered and blessed in the sanctuary of All Saints and transported to Wheeler Mission, which will distribute them to shelters throughout the city. “I’m so thankful to Holy Family — to Deacon Cathy Scott and their rector, Bruce Gray, and the whole parish — for all the work they did and for being willing to partner with us,” says the Rev. Suzanne Wille, rector of All Saints. “They trusted us to do this with them. In order to nearly double this year’s collection, the two parishes will need even more help. “If a parish is interested in helping or getting involved, I encourage them to contact me via email,” Tomlinson says.